The Scottish housing market again proved its resilience, with the country enjoying its best spell of growth since the financial crash in 2008. Across Scotland as a whole, average prices, sale volumes and overall market values all rose in the last three months of 2018. Edinburgh secured its spot as the most expensive area in the country for the third consecutive quarter with prices rising 9.3% year on year, hitting £272,989, the capital’s highest price in 2018. However, despite the robust nature of the property market in 2018, research for Aberdein Considine’s Property Monitor has revealed that the lack of clarity on Brexit as well as property tax policies are affecting both the levels of confidence among consumers and property buying decisions. 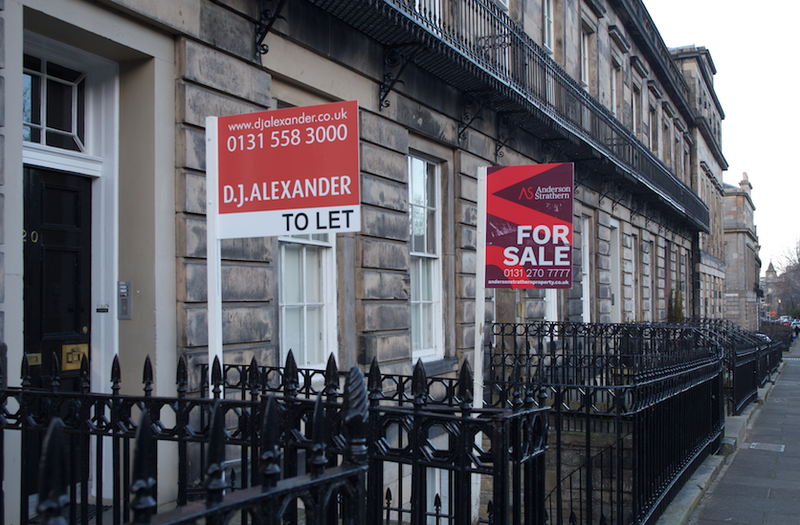 A survey of more than 1,000 individuals in Scotland, the biggest since the firm began publishing the Property Monitor at the start of 2017, found that 50% of those asked said they anticipate a decrease in the value of their home post-Brexit. This was the highest figure for 2018, and a strong indication of what appears to be diminishing confidence in the UK Government’s attempts to secure a positive Brexit outcome. Only 3% believed that Brexit would increase house values. Furthermore, asked if the Additional Dwelling Tax would discourage them from purchasing an additional property in Scotland, 52% agreed that it would, up from 45% in the third quarter. The Scottish Government announced in its December budget that this tax would rise from 3% to 4%. The lack of stock coming to the market, once a feature of the biggest cities, is now beginning to filter through to other parts of the country, with more provincial areas now experiencing rapidly rising prices, with the average cost of a home in Scotland rising 3.3% to £174,290. The shortage of homes for sale, combined with increasing demand drove average prices in Highland to £195,006 in November, the highest it reached in 2018. Clackmannanshire recorded the biggest jump in sale values with a 40% leap in the final three months of the year, a record for the Property Monitor. The markets in Dundee and Angus, for many years in the shadow of their north east neighbours Aberdeen and Aberdeenshire, also saw some of the most positive figures, much of which can be attributable to the wider economic optimism in the area, not least the waterfront regeneration, Dundee’s burgeoning reputation as a centre for decommissioning and the prospect of the Tay Cities deal. The City of Discovery experienced an 8.7% increase in the number of properties sold and a 9% rise in the value of homes changing hands at £109,752,853. Likewise Angus saw an 11% rise in average prices. Overall, the value of property exchanging hands in Scotland during 2018 reached £18.1 million, a rise of more than £4m on 2017. Commenting on the latest figures, Jacqueline Law, Managing Partner, Aberdein Considine remained optimistic about the year ahead but cautioned against unqualified optimism. Further evidence of strong demand for homes, particularly in Edinburgh and Glasgow is reflected in the rise in rental costs in both cities. The latest figures from residential lettings site Citylets highlighted the average cost of renting a home in the capital had risen by 7.8% to £1,095 per month whilst rentals in Glasgow had grown by 3.9% to £771. Recent estimates suggest that the number of families living in a private rented sector home was around 90,000.